Why do I need to have my electrical wiring tested? Electricity will always find the quickest route to earth. Any issues or weaknesses within your electrical installation or portable appliances can go undiscovered. In the event of another fault developing, this will probably result in a dangerous risk of fire, electrocution or death. One example is, a 13-amp ring-main without having earth continuity could possibly render all metal parts of the appliance that is plugged into it “LIVE” if one item on the ring developed a fault to earth. Electrical wiring testing will exactly recognise faults, the location and often the recommended solution. I am concerned that my electrical installation is fairly outdated, won’t testing open a can of worms when it comes to remedial work costs? Due to the fact we correctly identify any faults found, the price of remedy generally isn’t too great. The vast majority of problems identified involve earthing inadequacies, which although possibly very dangerous are not generally very expensive to remedy. Will the electrical testing create a lot of interruption to the power? A brief power interruption should be expected on each circuit contained in the system however because most of the testing is undertaken whilst the system remains live, these interruption could be scheduled around your day-to-day activities. Is a periodic electrical installation test or a electrical condition report a legal requirement? The law doesn’t require periodic electrical testing or an electrical condition report to be carried out. Nevertheless, the law does require that you maintain your entire electrical system safe all the time. The only real effective methods to that is to have a periodic electrical test and inspection carried out, combined with actions to remedy any kind of issues discovered resulting from the periodic electrical test. If an accident or fire does happen where electricity is thought to have been the main cause, then your duty is to prove that you really did your best to prevent that accident. Test information results combined with electrical prevention maintenance documents can provide your greatest proof and defence. My insurers recently completed a site survey and they didn’t tell me to have electrical testing carried out. A visiting home inspector won’t always identify the requirement to maintain electrical safety at each assessment he makes, particularly if there are additional problems to be addressed. Because testing has not been specifically required doesn’t mean that the legal requirements to conform to electrical safety will not apply. Why have I not needed to have periodic electrical testing or a electrical condition report done previously? There’s always been a requirement in order to meet Health & Safety legislation.In 1989 The Electricity at Work Regulations came into force, which describes the requirement to maintain electrical systems safely and securely. So there’s always been the requirement along with test data results will form a significant part of your protection should any sort of accident happen which ends up in criminal prosecution. Is electrical testing a requirement for my insurance provider? Significantly more insurers are insisting that electrical inspection and testing is carried out routinely. If you suffer an preventable accident, then under law, if found accountable, you will be deemed to have committed a criminal offence. Insurers won’t pay fines or compensation caused by a criminal offense. Exactly what does it cost to have my portable appliances or an electrical installation tested? Prices are based on a cost per circuit or appliance tested. This, together with the current condition of along with accessibility of the system will determine the total cost. Please contact us to assess your portable appliance testing or electrical testing. My factory operates 24-hours a day, how could you achieve the electrical testing if I can’t stop production? We have a wide range of experience with working within the restrictions of several manufacturing environments. Considering that the most of the testing requires performing live tests; we are able to schedule dead testing around pre-arranged windows of opportunity. I lease my business premises, is electrical testing the property owners responsibility or mine? You will be responsible to ensure that both you and your employees conform to Health & Safety legislation. Nevertheless, it will always be based upon the terms of your lease contract whether or not you or your landlord will pay for the electrical testing to be carried out on the electrical installation.Generally, if you’re on a complete repairing lease contract then the cost will certainly fall to you. Portable Appliance testing is always at your expense. I have been previously informed that we just need to have a percentage of the installation tested in order to comply. Based on the IEE Regulations, you’re able to rely on sample testing for those who hold previous complete system documents, the installation is considered to be in extremely good condition, no faults are discovered throughout sample testing with no undocumented modifications have been completed since the system was installed or last tested.This doesn’t maintain accurate for the great majority, which is why full inspection and testing ought to be undertaken. Other individuals have quoted us for testing based on the square feet of my property. How come you will only quote based on circuit numbers? Since there is no real relationship between square feet and circuit numbers, this is a pointless benchmark. We’ve employed electricians from other testing companies who’ve been paid based on an amount per square foot. 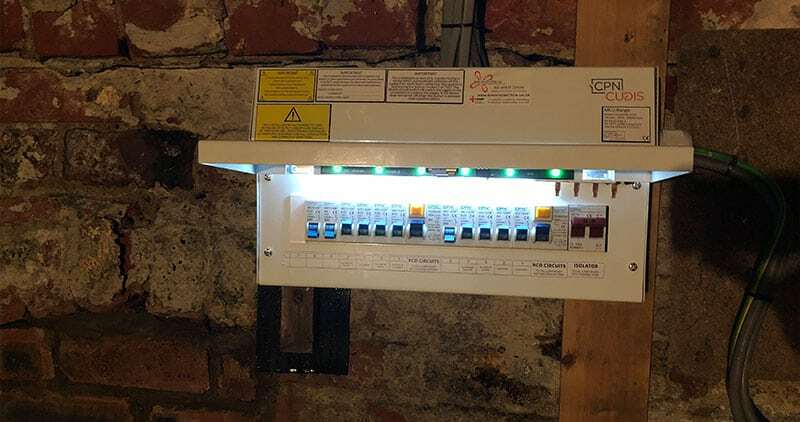 We feel that this places pressure on engineers to cut corners on the electrical testing.It’s also not a correct reflection from the amount of work required and therefore the cost. Am I allowed to perform portable appliance testing (PAT Testing) in-house? And what will happen if I don’t have electrical testing carried out? Unless and until you suffer an accident then quite possibly nothing will happen. Nevertheless, understand that maintenance of a safe electrical system is a legal requirement. Therefore a preventable accident can lead to a criminal prosecution, in which there won’t be any insurance cover.You may even discover that an insurance loss adjuster will certainly make much of the fact that you might not have maintained the system sufficiently that could have resulted in the claim. Once again, this might lead to an not successful claim along with a costly experience. How often must my portable appliances be tested? The outcome regarding earlier tests should be considered in the program of risk assessment. Even without the such records then the following intervals may be considered as a guide. But don’t forget that other factors including the ability of site staff to recognise any possible defects or damage and consider appropriate actions. Mechanical damage and misuse should also be considered.Low-risk 24-monthly or more – Medium risk 12-monthly – High risk (ie workshop equipment) 6-monthly – Very high risk (ie site equipment) 3-monthly. How will I know when my next electrical test is due? We maintain records of all the customers, along with re-test dates on our database as well as remind our customers as soon as there inspection or tests are due.